Striped Possum (Dactylopsila trivirgata) Mick É because it doesn't matter if you are black or white! 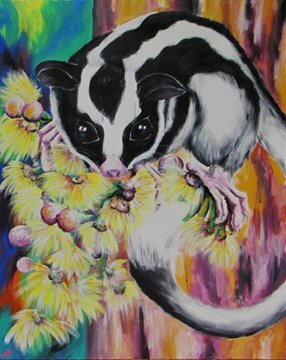 Striped Possum's are and exotic small rainforest dwelling mammal found only in Tropical North Queensland. Mick was a rescued little fellow whom I had the pleasure to rehabilitate and release.